13The Brahman rule is such that the group of deities assigned the task of tutelary deities in a particular area will enjoy enormous powers like prime divines in all respects to carry on their duties and to function independently without interference from other divines while safeguarding the interests of group of families assigned to them, as long as those families maintained regular worship to them. There were also allocations for the manifestation of some other non tutelary divines in the same areas. In safeguarding the interest of those under their command, the norm mentioned that the tutelary deities or other divines will function without violating the norms of Brahma rule. Let this be explained by the following example. Let’s assume in a village called Neelamangala, 200 families were under the command of five tutelary deities as drafted by Lord Brahma, with each tutelary deity taking care of 25 to 30 families each. The remaining families were left to live without any tutelary deity. The families sans tutelary deities worshiped some other divines of their choice, either in the same space (the Village or towns are referred in this article as space) or elsewhere beyond its territory. 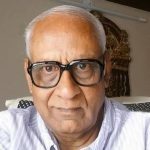 Let us say for some reason or the other, some members of a family (Let us call them ‘A’ family) in the same space who had no tutelary deity decided to perform yagna or other Pooja to harm certain family (Let us call them ‘B’ family) inimical to them. However powerful the prime deity may be, even though the tutelary deities present in that space were their subordinate deities, still they can not unilaterally answer prayers of ‘A’ family to effect intended harm to family ‘B’ who sincerely and regularly maintained worshiped their tutelary deity and had also not actually committed any crime against family ‘A’. Even on remote possibilities, the prime divines cannot cause harm to them since there exist tough restriction in the the form of norms of Lord Brahma. If the prime divines or other divines realize that the grant of boons to someone may cause harm to others, say in this case, granting of prayers of family ‘A’ might cause harm to the family ‘B’ who are under the command of some specific tutelary deity, then as per Brahman norm it is mandatory that the external divines must first consult the tutelary deity before according boons to Family ‘A’ which would otherwise cause harm to the family ‘B’ under that tutelary deity. 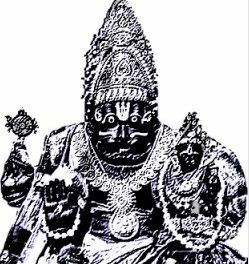 If the prayers are answered without consulting the tutelary deities or arbitrary decisions taken by divines to cause harm to the families under control of tutelary deities, such divine acts will be construed as violation of Brahma norm and infringement into the divine rights of the tutelary deities and the awarded boon will fail to cause ill effect even though the family of ‘A’ may outwardly feel glee that their prayers have been answered unaware of the internal divine failure. 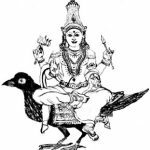 Also since the devotees of the tutelary deities are ring protected with the rays of the tutelary deities, the incoming negative energies are blocked unless they had the prior permission for meeting out the punishment. 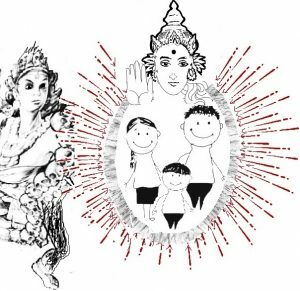 Thus the regular and continuous worship of tutelary deities gives protective cover to those families under the guard of those deities. There is however a small rider in this norm too. 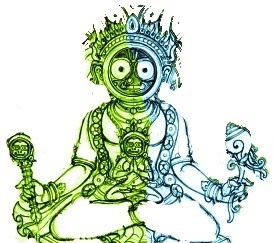 Since the divines are also meant for establishing law of truth (Satya) and love amongst mankind, if the tutelary deity finds that the family ‘B’ has been wanton sinners against family ‘A’, then the tutelary deity will temporarily withdraw their protective cover from family ‘B’ to ensure that the canon of divine justice through the grant of boons by prime divines to family ‘A’ are not blocked in any manner. How does the boons cause ill effect on the defaulters ? Once the prayers of family ‘A’ is answered, then the resultant boon gets converted into the shape of negative energy rays and reach the person or group concerned say family ‘B,’ and intrude in to them activating harmful effects on their prosperity and happiness. This results in endless struggle and mental agony to the ‘B’ family destabilizing them. 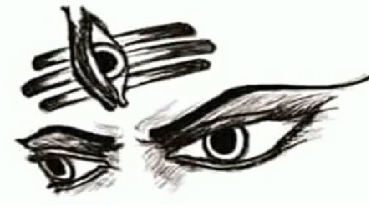 In order to maintain the dignity and honor of the divines, Lord Brahma has incorporated several such norms for the acts of divines as he was aware that the entire fleet of tutelary deities are the same energy rays of those divines from which they have emanated and insulting or degrading the powers of the tutelary deities or infringing into their domain without due permission will be tantamount to degrading the very same divines from whom they had come out. 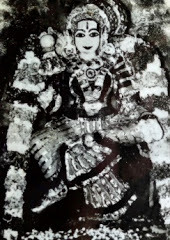 At the same time the tutelary deities are also empowered to condone the punishment at later stage when family ‘B’ continuously and sincerely offered prayers (without knowing the reasons for their sudden suffering) seeking relief from their tutelary deities and upon satisfied with their sincere prayers, the tutelary deity can revoke the punishment. They will also have to inform the concerned deity prior to revoking the punishment. 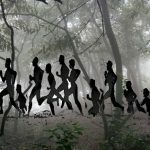 There are many such hidden norms and riders that curb the unilateral decisions of divines against divine acts which remains beyond the scope of humans to clarify and understand. The mysterious Brahman drama continues to display the acts with evil and good divines who have been made to manifest amongst humans to educate mankind on divinity and its importance. 14The next most important aspect is the powers of those first line of divines who had taken the human form and vanished in the same form. 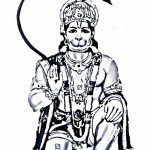 The texts in Purana contain many stories that state that several divines manifested in human form to atone sins and penanced for reversal of their curses. They vanished in the same form after leaving their mortal body buried below earth or sank them in rivers. Though they could exercise limited divine powers during their stay in discreet manner to benefit mankind, they had to otherwise suffer as human to atone their sins. Why was curb imposed on carrying entire divine powers with them in the period of penance? The norms of Brahma were very clear in this sphere. Had the divines been permitted to carry their entire divine energies, they could misuse them to soften the nature of punishments during their stay on earth. 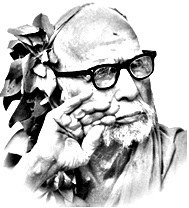 The divine principle is that similar to the humans who struggle to get freed of their past karma through prayers, services etc, in the same manner the cursed divines who came to the earth for penance should also entirely get freed of their curses by struggle and therefore prevent misuse they were prohibited from carrying entire divine powers with them during penance. The rule of divine justice was equal to every one. The spiritual explanation is that some of the minor curses received even by prime divines during their stay in Parabrahma Loga were to be redeemed by penance in earth. Therefore, those divines which came to earth to atone the sins in disguise as human, carried lesser divine powers and displayed them only rarely during their stay on earth. This is one of the reasons why the said manifestations have not been accorded the status of divine on earth or tutelary deity immediately on their manifestation. They were accepted as prime and first line divine and tutelary deities by few families only after several thousand years later. 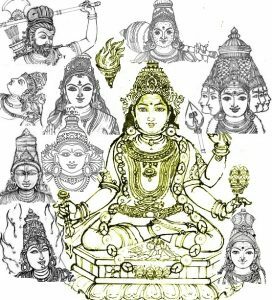 The classic examples of some of those divines were Lord Muruga, Lord Rama, Lord Krishna, Lord Parasurama, Goddess Parvathi, Goddess Lakshmi, Goddess Valli, Goddess Sita or even Goddess Sarasvati. While Goddess Valli has been accorded the independent status of tutelary deity in many different names, it is surprising to note that Goddess Devaanai and Goddess Sita have not attained that status and they had always been worshiped along with their spouses only. Some of the divines never revealed their identity until they completed their penance on earth and went back. The statues or idols of those who did not reveal their divinity were later dug out by the devotees when the same divines revealed the spots where their bodies lay buried. A large no of them became tutelary deities centuries later. They were the cursed divines sent to the specific spot on earth for twin purpose to reverse their curses and then to manifest again in the same space as tutelary deities. Lastly, it is also surprising to note over 90 % of the tutelary deities have emerged from rural spaces. 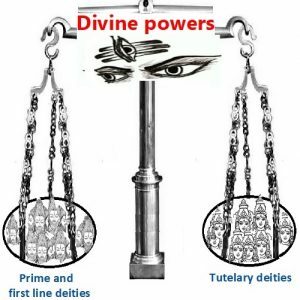 As said earlier their divine powers are almost equivalent to prime divines and directly they can grant the favors for those who have adapted them as tutelary deities. At the same time those tutelary deities were also empowered to answer the prayers of others who have not accepted them as tutelary deities, but in a limited manner.